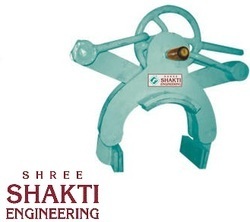 Auto Release Lifting Tong offered comes in precision design and sturdy construction finish which makes these provide for optimum functional support in given process applications. These tongs come designed for permitting automatic release of pipe when line is slacked off. Some of its features include available in different size options of 6″ to 36″; tongs come equipped with grip pads for ensuring safe, positive engagement of pipe and are field replaceable.